We’re not your average landscape designer in Los Gatos. The Exotic Gardens team has been designing & installing luxurious and functional landscapes for over 30 years and we’re still just getting started. 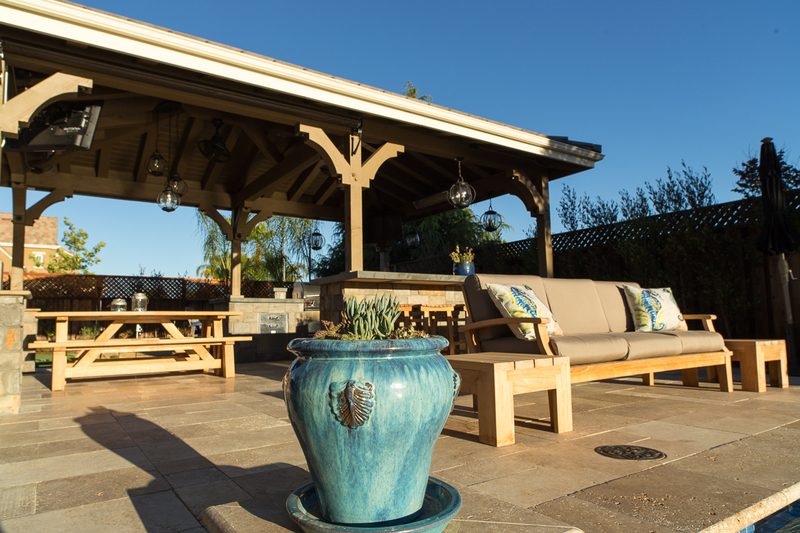 From stunning outdoor kitchens and grilling stations to masterfully-crafted putting greens, fire features, edible gardens, and so much more, we can install the feature your yard needs or design a brand new yard from the ground up. At Exotic Gardens, we pride ourselves on taking large and challenging projects. If you’re looking for a landscape designer who can bring your wildest landscaping dreams to life, you’re in the right place. If your ideal backyard includes a patio, Exotic Gardens can make it a reality. We work with our clients to create the perfect outdoor space whether it’s decks and patios, hardscaping, landscaping, or doing something completely out-of-the-box such as adding a bocce court or even a batting cage. Your dreamy yard may be simple – with some nice landscaping and plants that are easy to take care of and patio where you and your family can relax in the evenings. No dream is too big or too small for us to handle, and we’re happy to sit down with you and figure out exactly what would make you happy. What if There’s an Existing Patio? If you already have a patio in your yard, we can discuss your goals and design wishes to decide what to do with it. If it’s in good shape, you can decide if you want it to be a part of your new patio and dreamy backyard. If it’s not in great condition or you don’t want to keep it as is, we can remove it and prepare the ground for new and improved patio construction that looks more like what you have in mind. 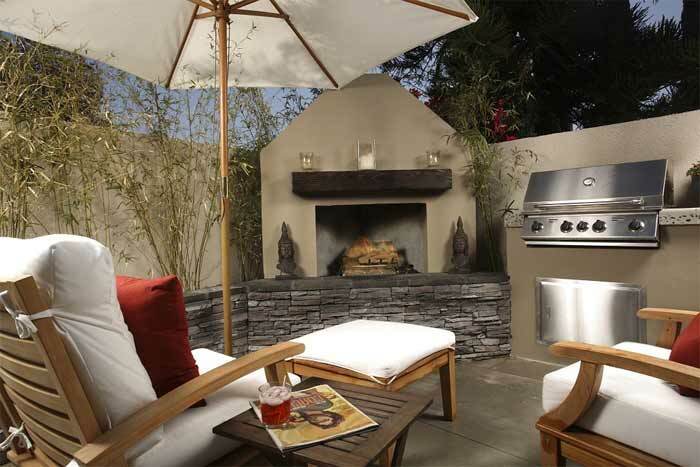 How Much Does Patio Construction in Los Gatos Cost? The cost of patio construction varies based on what exactly you want. The size, shape, and materials will change the price, for example. If you have a budget in mind, let us know upfront so we can tell you what can be done within that limit. We are an honest and affordable landscaper in Los Gatos. Patios are more affordable than decks, which is why some homeowners choose them. In Los Gatos, expect to pay 50-100% more for a deck. We can discuss materials and let you know where you can substitute to save money without sacrificing the look and design you desire. 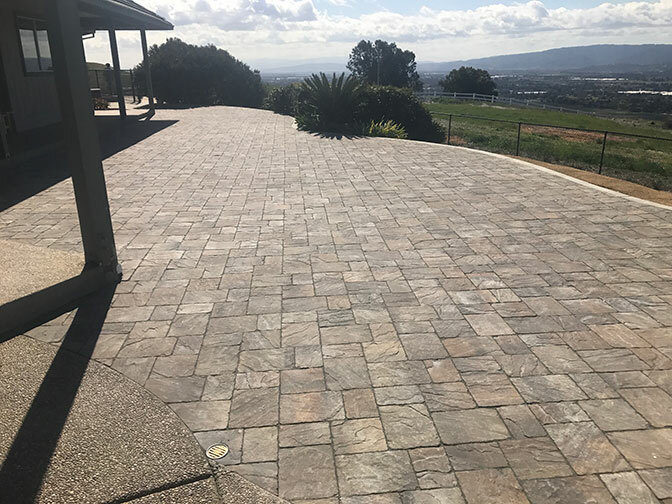 We are here for you every step of the way and want you to love your new patio without feeling too much pressure of a major expense. You won’t need a building permit for patio construction in Los Gatos. If we are building a custom deck, retaining walls, or other structures, a building permit may be required but we take care of all of that for you. When you hire us for landscaping and patio construction, we take care of the entire process, from the initial design and prep work to hands-on work all the way to cleaning up and completing the job and showing you your new space. Sometimes you need to get out of the house and see what the city has to offer. Spending time with family, meeting friends, and enjoying the area is a great beginning that ends with a little gathering under the stars on your new patio. Vasona Lake County Park: This is a great place to picnic, fish, hike, bike, and just enjoy nature. There are 45 acres just for open activities such as soccer or ultimate frisbee. Castle Rock State Park: We love going here for a quick hike and taking pictures at the beautiful waterfalls. It’s so close to the city, you can’t miss it. New Museum Los Gatos: If you’re looking for something to do inside that’s fun and educational, NUMU is just the thing. You can look through their collection and talk about the history and even buy local artists’ work in the gallery. Los Gatos is just one of many places we serve in Silicon Valley and beyond. 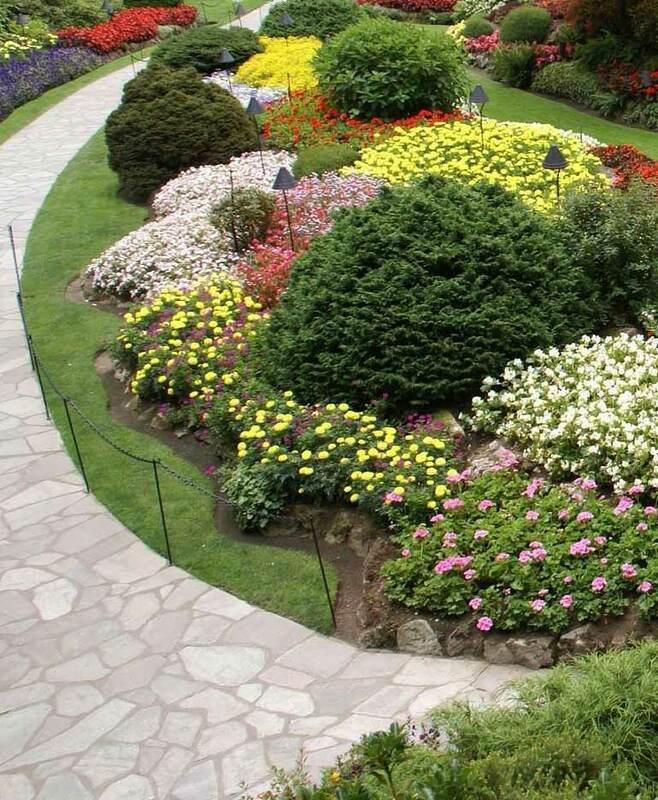 We also offer high-quality landscaping in Gilroy, San Jose, Palo Alto, Atherton and more. If you aren’t sure if you’re in our service area, just give us a call. We want to make your yard come to life, but the first step in doing that is sitting down and talking about what you want and need from your outdoor space. Our landscape architects will walk you through every step of the process, from concept and design to full implementation. Call or contact us now to schedule your no-obligation consultation today.